Wally, good post and one I truly appreciate, but I would be remiss were I not to provide a bit more information. The reason and truly the sole reason we do not have a competitor for Charter is the cost of infrastructure. During our contract talks with Charter Communications a little over 18 months ago, myself and others aggressively contacted Verizon, ComCast and others to gauge interest in providing service to Sturbridge. All said the same thing; the challenge for them was the amount of infrastructure (cables, transmitters, etc.) required and the cost associated with same in order to provide service. They shared their opinion that there was not enough customer density in Sturbridge to justify the cost at that time. All of the current cable infrastructure is owned by Charter Communications as they were the ones who invested and installed the "network". Thus, as it is technically private property, no other providers are able to piggy-back on their "network". Certainly we would all relish the thought of some good strong cable-service competition, but until Verizon or some other entity is willing to invest the capital costs of installing their own "network", we are in a position wherein our options are severely limited. This was the core reason we successfully pushed for a 5-year contract as opposed to the standard 10-year contract previously and regularly awarded by the Town, as we were hopeful that at some point other providers might reconsider the option to invest in Sturbridge. I do know that Verizon Fios indicated several times back during those discussions that they felt there were about 3-5 years out from making the infrastructure investment, as at that time, they were primarily focused on communities with "higher and denser population footprints". I am hopeful that this will provide some useful information. I believe that the "Money Charter gives to the Town" is a misnomer, I believe that it is a "loan they give to the Town", we pay it back via our Charter bill each month. Thank you, Tom for the update. I have lived in towns that have had different cable companies for contract changes, and bankruptcies, and the equipment was never an issue. 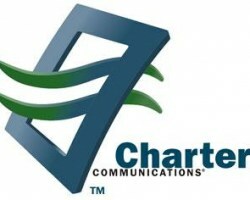 If Charter was "fired" they would not go from home to home rolling up their wire. They are on the edge of bankruptcy most of the time, and that is one expense they would forgo, but would probably work out something with the town. Cash is cash. If FIOS wants a few years before they decide, then offer up the town to Comcast. If Charter leaves the equipment in place, all the better. Yesterday all of my specialty HD Charter channels were off the air in the middle of the day with the message "This channel is the off temporally off the air. Please check back later"
Off the air? Really? What other cable company does this? Off the air is reminiscent of 1965 broadcast TV, or a cable company finding it hard to pay for its channels. Tom, again, thanks for the information, but I feel we (the town) needs to start playing hard ball with Charter, and put Comcast on the speed dial. Wally, I don't disagree with you at all, but we can't force ComCast or Verizon to invest in the cable that runs throughout town. Charter would surely not lease it to a competitor - we've asked - and both ComCast and Verizon have already indicated to us that they do not have interest in investing in infrastructure right now. That said, our community is always open to options and will continue to try and leverage competitors in all areas. Thanks again for raising the issue. I agree if you have a cable box you never know if your TV will get reception or not. Charter service is horrendous. Tom, thanks again for the information. It is frustrating, and we are in a quite a pickle. I don't envy those on the Cable Committee. I suspect that we'll never see fiber in our town. Fiber is too expensive to string for the number of users that our town can provide. What I do expect to see in the very near future is 4G video receivers that will be everything FiOS can presently do, but do it wirelessly. 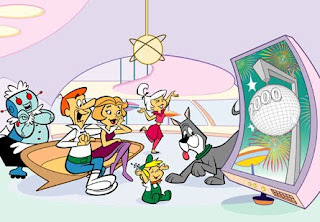 I don't know if for instance a box in the basement will feed the entire house and provide phone, TV and broadband services, or if there will be a DVR box with a a small antenna attached to it for each television. 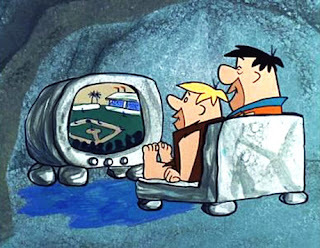 Until that time comes, I get my television service from "up there", 22,000 miles away. I jettisoned Charter and their dismal service years ago, and have been enjoying reliable, dependable service from both DirecTV and Dish. Both services provide HD broadcasting with less digital compression than what Charter feeds us. The result is a higher definition picture. ....and don't believe the Charter advertisements that talk of signal outtages during rain, a phenomonon called "rain fade". Yes, a heavy rain storm will cause a blackout of several minutes until it passes. Compare that to the hours long outtages when a car takes down a utility pole, or a tree limb pulls down a section of cable. Folks, Charter isn't your only choice here in town. Express your displeasure by cutting them loose! You are not being shallow at all You have a valid concern. It is one of those things we all have to weigh: reception / service / cost vs. aesthetics. Good luck! If ther was a proper way to get decent, and affordable internet coverage with satelite I would have installed a dish long ago.